He traveled about four miles upstream and found the source. The water had turned black from manure. Brook View Dairy, a Holland-based multi-facility dairy business with a Concentrated Animal Feeding Operation (CAFO) at 10560 Freeport Ave., is being investigated by the Michigan Department of Environmental Quality for the March 6 manure spill. Regulators became aware of the spill after Snell found it two days later and reported it. At this time, the DEQ says there is no need for a “no water contact” advisory or fishing warnings. 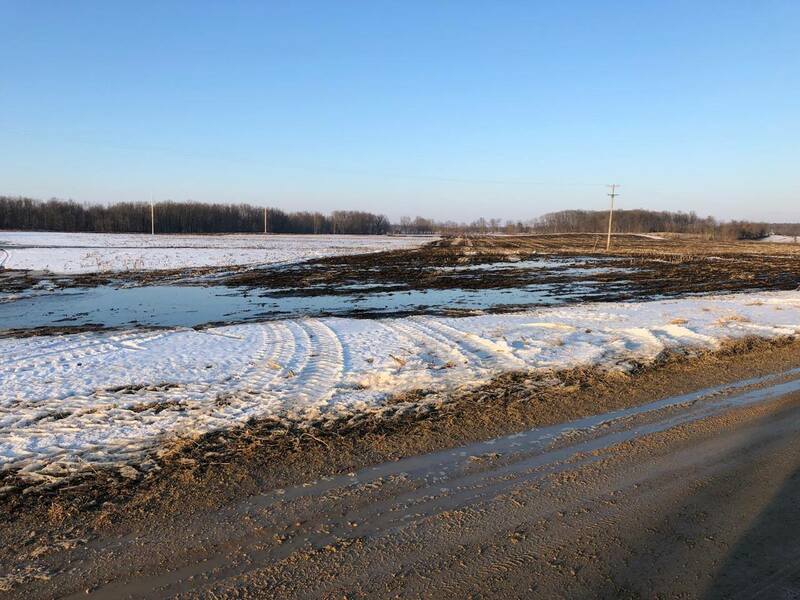 Manure processed through the farm’s anaerobic digester was spread on fields March 6 about three miles east of Freeport. The ground, snow-covered and frozen, didn’t absorb it and the manure eventually ran into Messer Brook and then the Coldwater River. The Coldwater River, which is a prized trout stream, feeds into the Thornapple River about three miles east of Caledonia. “The DEQ received reports that portions of the Coldwater River and Messer Brook had turned black in color and had an odor,” said Mike Worm, supervisor of the water quality unit for DEQ’s Grand Rapid district. The recent incident is the dairy farm’s second spill into a tributary of the Coldwater River in just under a year. In April 2018, an estimated 5,000 and 10,000 gallons of liquid cow manure went into a tributary when a farm pipeline malfunctioned. This time, Brook View Dairy said about 10,000 gallons was spilled, according to Worm. But, Worm said, regulators are skeptical of that figure, pointing out the spill’s migration would indicate a larger volume. Rain events around the time of the spill helped dilute the manure, he said. DEQ engineers are still calculating their own spill estimates, he said. Regulators will convene Tuesday, March 26, to discuss what, if any, criminal or civil actions they will impose on the farm. Phone messages left with Brook View by MLive/The Grand Rapids Press have not been returned. In the past year, the Coldwater River watershed has sustained three manure spills. For anglers and conservationists, that’s a discouraging fact. “I mean when you look at the Coldwater watershed over the decades, we have thousands and thousands of volunteer hours and dollars put into it, and it’s getting trashed,” said Lance Climie, president of Schrems West Michigan Trout Unlimited. 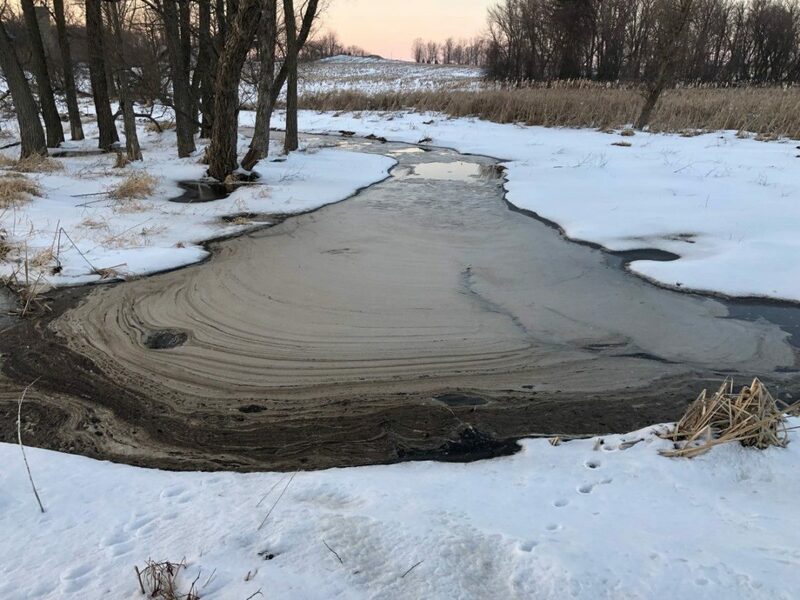 Snell, who is a fisheries biologist and co-founder of Streamside Ecological Services, said manure spills can endanger human health by increasing levels of E. coli bacteria in the waters. In addition, the spills can harm aquatic life and can, because of the nutrients, cause a downstream algae bloom, he said. As of Wednesday, March 20, state officials have not seen or had any reports of a fish kill associated with the recent spill, according Worm. Climie said he wishes farmers would cooperate more in the protection of water bodies.